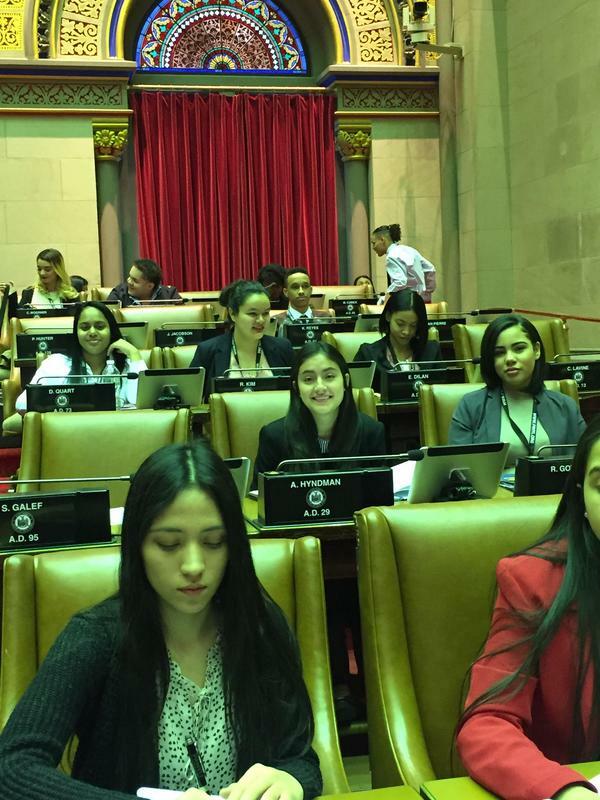 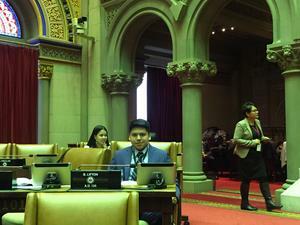 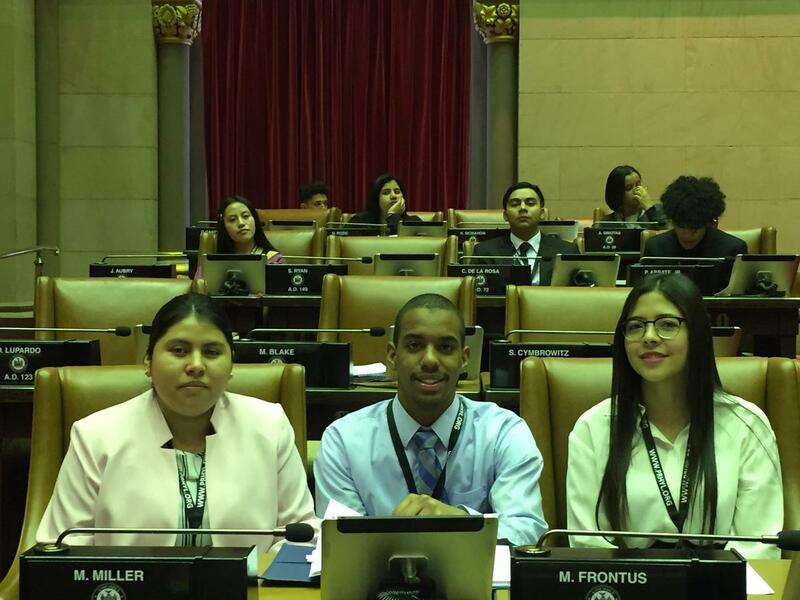 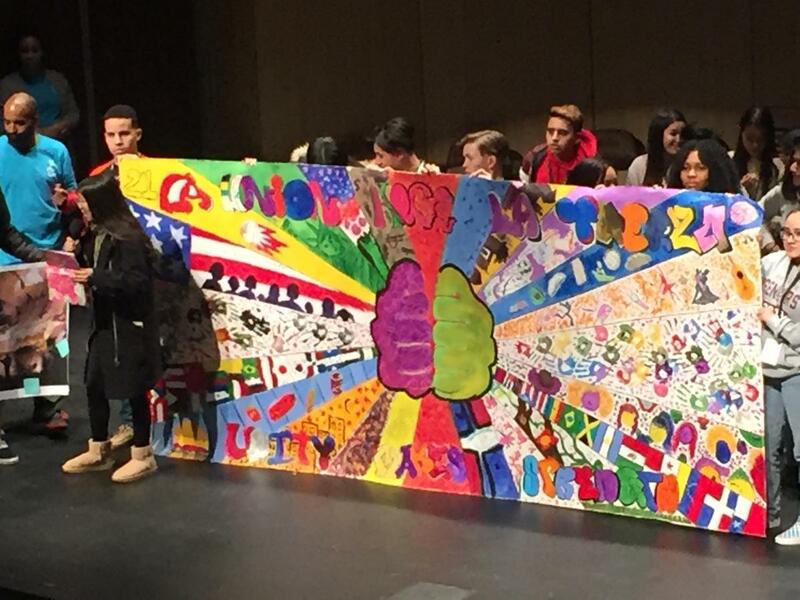 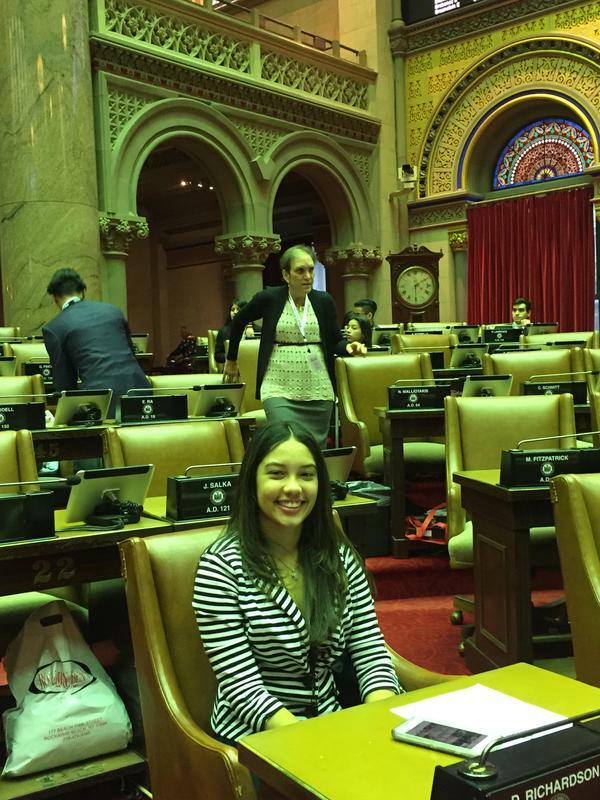 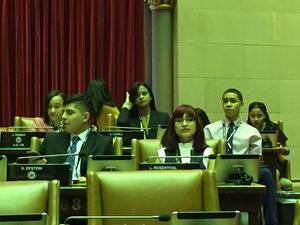 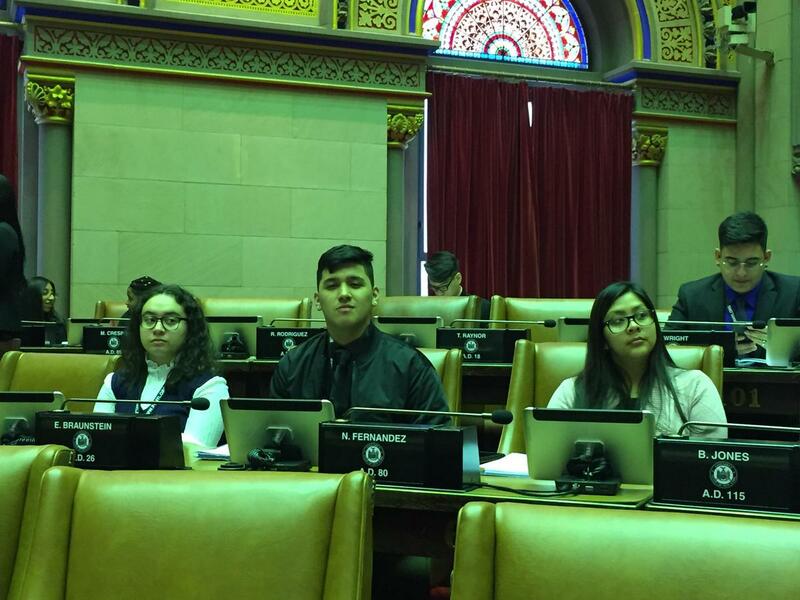 On March 9-11, 2019, 100 NYC students from 47 high schools (twelve from Newtown) joined 100 other students from all parts of NY state to participate in the mock assembly for the 29th Annual Angelo Del Toro Puerto Rican Hispanic Youth Leadership Institute (PR/HYLI) at the NY State Assembly in Albany. 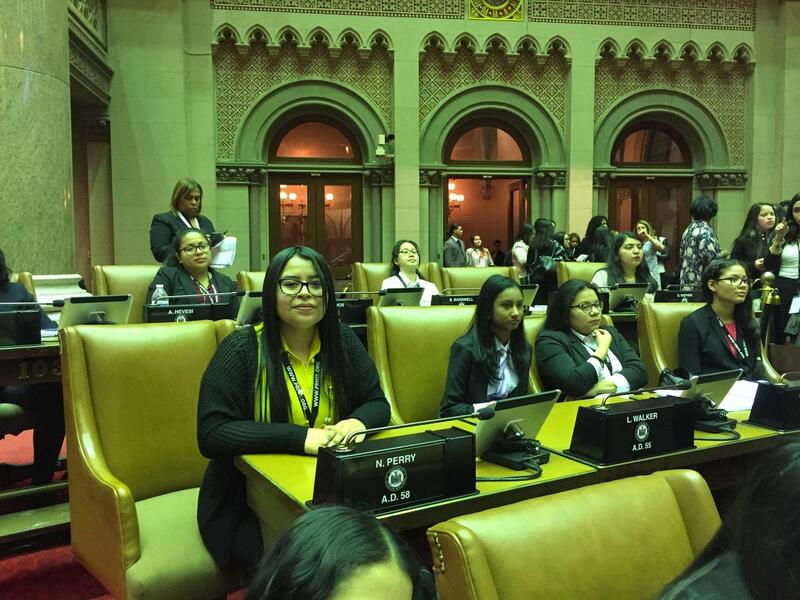 The young leaders learned how a bill becomes a law and practiced skills in debating and parliamentary procedures which they learned prior to the Albany trip. 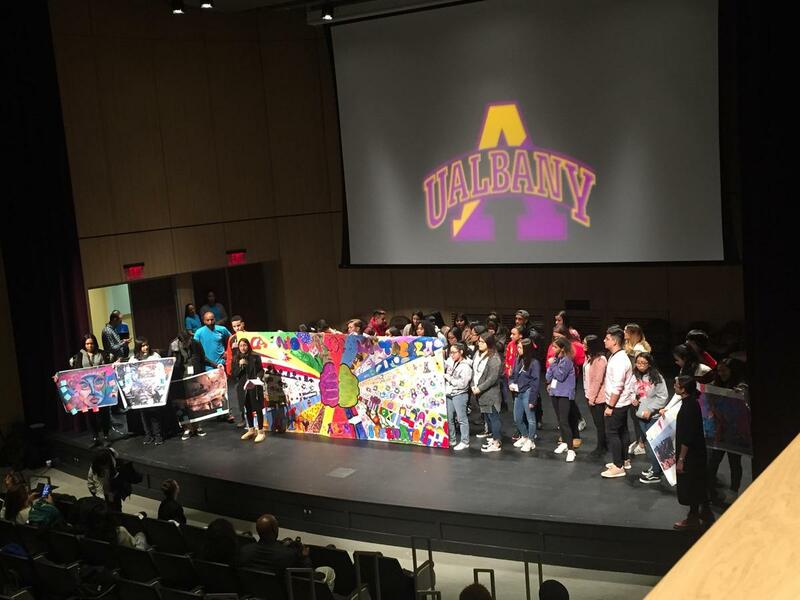 Students participated in workshops exploring issues affecting their communities using various media of dance, music, spoken word, film, and art. 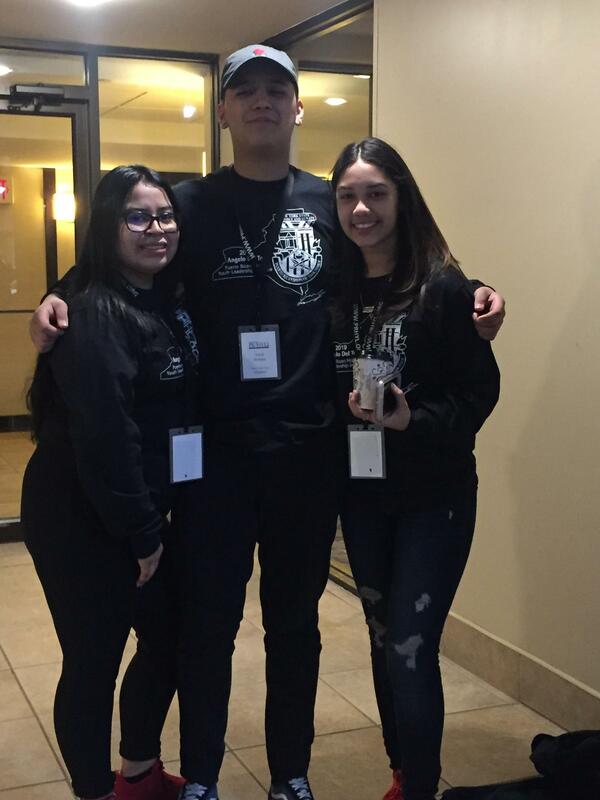 They went out of their shells and burst onto the stage with performances that they created. 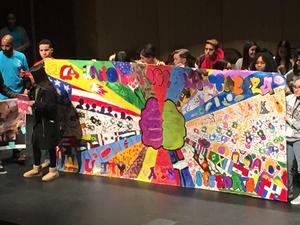 Two of our students, Alejandro Lopez and Cynthia Benavides, stood out with their impassioned performances. 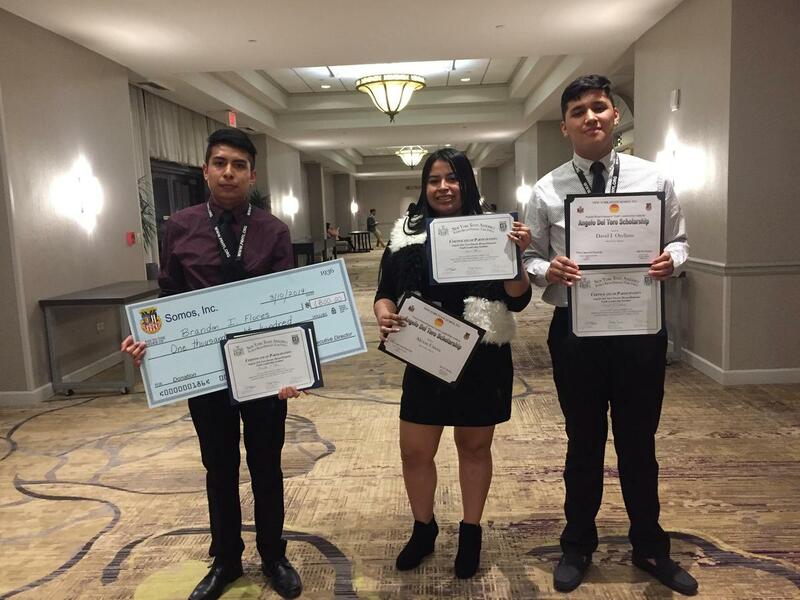 In addition, scholarship money was won by three Newtown students for essays they wrote on bilingualism and biliteracy. 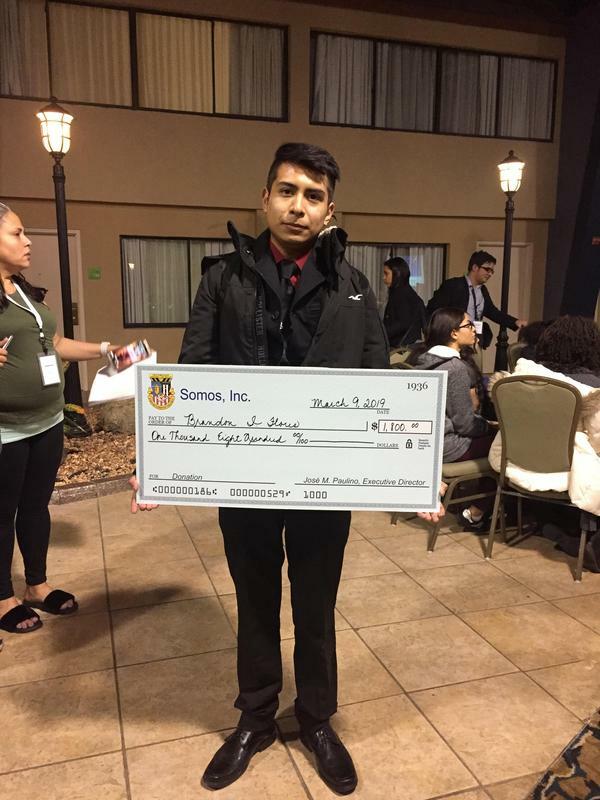 Brandon Flores, whose essay garnered one of the top six spots, won $1,800; David Orellana and Alyson Utrera won $800 each. 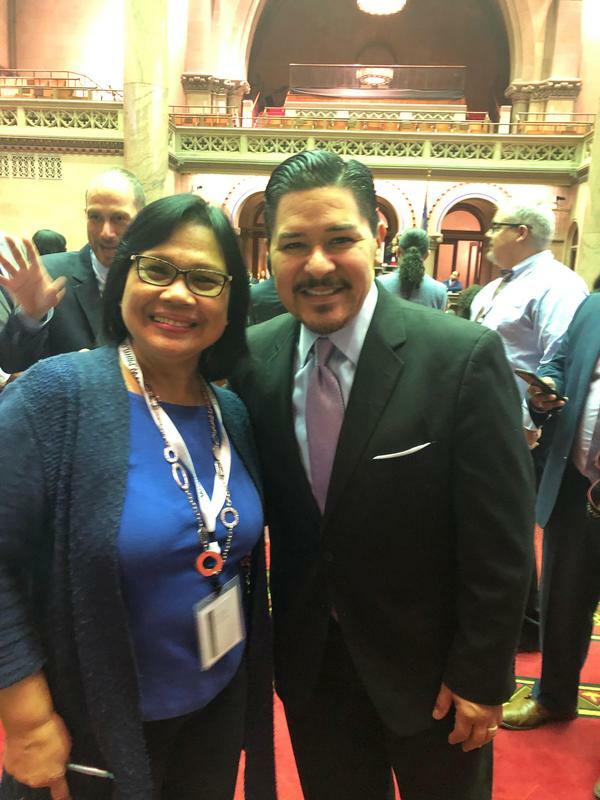 Chancellor Richard Carranza came to witness first-hand how the program worked, roused the student assembly with a speech centering on the theme “Si, se puede!” (Yes, you can!)….. 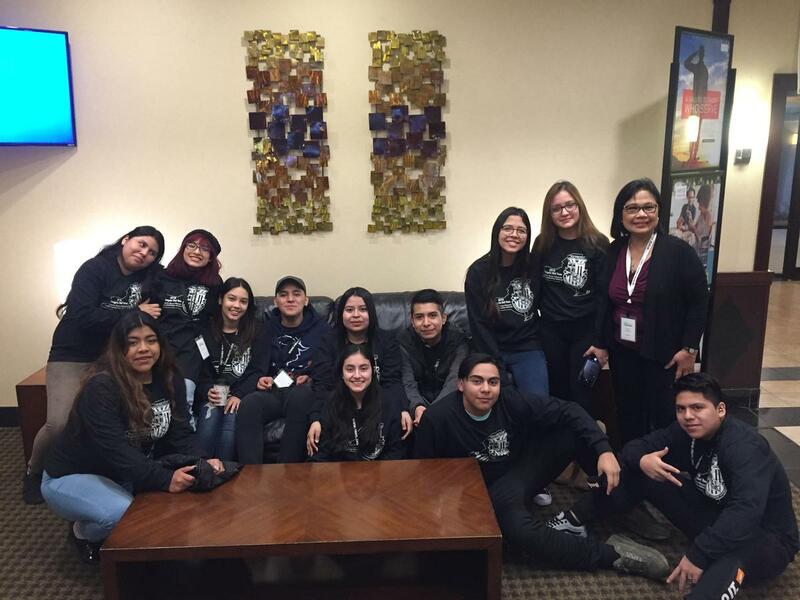 and posed for a picture with Trainer/Chaperone Nerissa Salvador (Newtown Business Teacher). Newtown High School delegates pose for a group picture with Ms. Salvador. 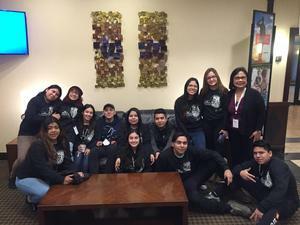 The participants are: Erika Hernandez, Camila Orjuela, Cinthya Benavides, Cindy Diaz, Ivanyeli Mera, David Orellana, Alyson Utrera, Nereida Cabrera, Brandon Flores, Alejandro Lopez, Karen Aguirre, Joseline Dominguez, and Wilmer Naranjo.